Massage therapy can be a physically demanding profession. And massage therapists—like many wellness professionals—often put the needs of their clients first, sometimes sacrificing their own needs. Massage therapists, make self-care a priority at the AMTA 2017 National Convention with these continuing education sessions that are both inspiring and practical. Instead of pushing massage clients into feeling better, learn how to pour into the client. Rediscover massage therapists’ most powerful therapeutic tools – breath and your body weight – and how to work deep with less strain. Taking care of yourself is as important as taking care of your massage clients. Shawn Achor—a leading expert on the connection between happiness and success—will share the science of how happiness inspires us to be more productive. As one of the top TED speakers of all time and a former Harvard professor, he studies scientific breakthroughs in happiness and how to become a lightning rod for change. Shawn has partnered with Oprah Winfrey Network on “21 Days To Inspire Positive Change” and is a New York Times bestselling author. Wrap up your convention experience with a more clinical look at the importance of self-care. Related: Shaun T will inspire you to live your best life at Opening Session! Don’t miss out on the largest conference in the massage therapy profession! 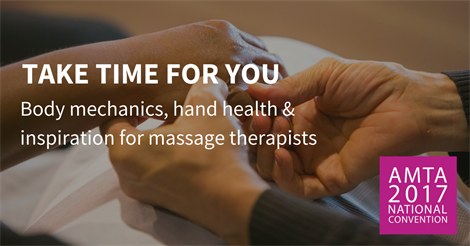 Earn 18+ CE credits, network and explore new products for your massage practice. 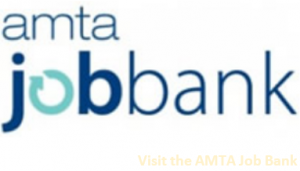 Register for Convention + Join AMTA to save $190!